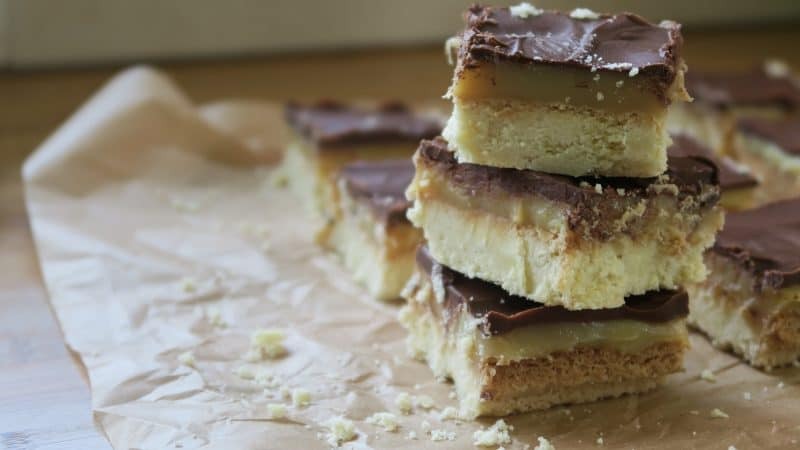 I’m about to make a bold claim: this gluten free millionaire’s shortbread recipe is probably the greatest recipe I have ever made. Big words, I know, but with a crumbly and buttery shortbread, thick gooey caramel and a deliciously sweet layer of chocolate, these gluten free millionaire’s shortbreads are pretty bang on perfect. I first attempted these gluten free millionaire’s shortbreads for a Macmillan coffee morning and visually they were a bit of a disaster. The caramel was too runny and the chocolate way too thick – imagine a caramel explosion and you’re pretty much there. 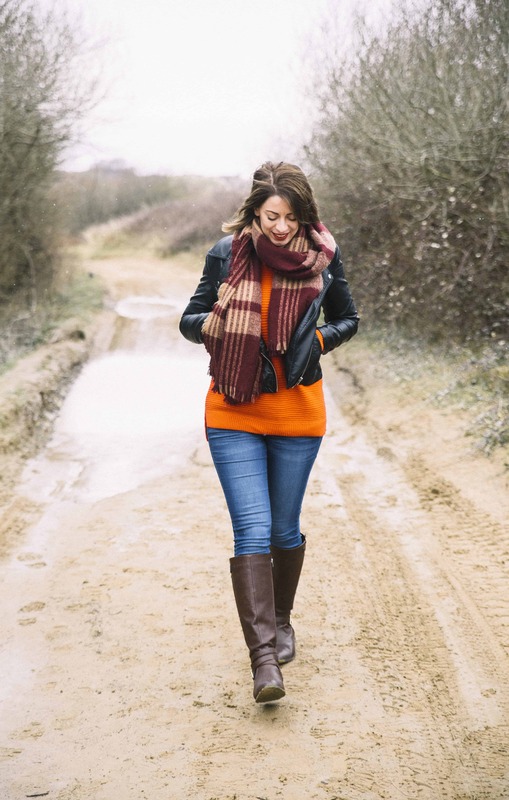 But the taste was amazing and they had a welcome response – so I worked really hard to get the recipe right. Fast forward several attempts and a lot of tins of condensed milk, and here we have the perfect gluten free millionaire’s shortbreads. The recipe for these is pretty easy – I’ve done all the failing for you! The gluten free shortbread uses only three ingredients, the caramel is a slower process but easy to follow, and the chocolate takes only a few seconds. So what are you waiting for? These are the perfect treats to take into work for a coffee morning, or impress at a party. They are sticky and delicious and oh-so-gluttonous – definitely not one if you’re counting calories. I used a 24cm x 24cm square tin for mine, but you could use any shape you wish. I found this was perfect for making 16 squares, any bigger and I would have found them far too sweet. 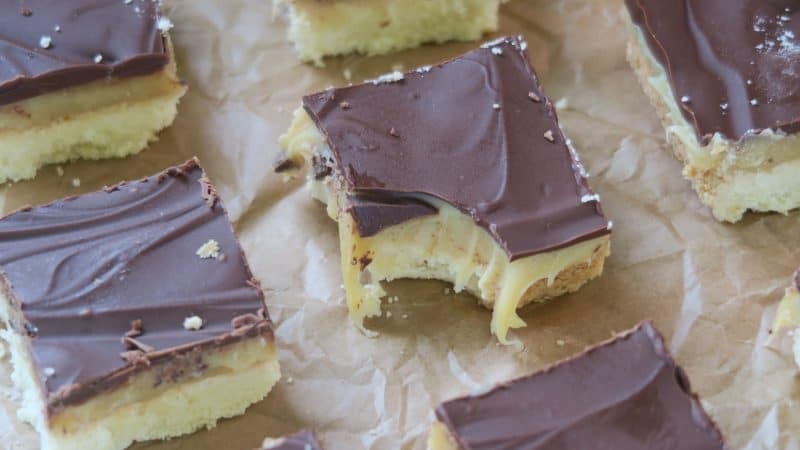 So, without further ado, here’s a handy video showing how to make these beauties, and scroll down for the gluten free millionaire’s shortbread recipe below it! 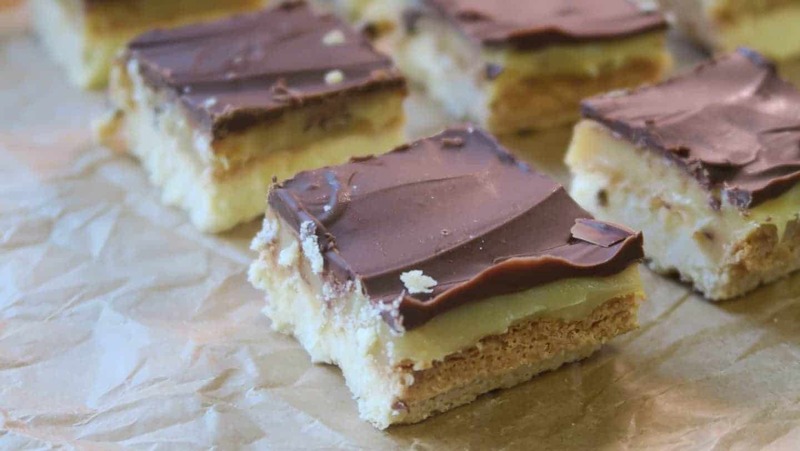 These gluten free millionaire's shortbread are absolute delicious and the perfect sweet treat! Preheat oven to 180’C/350’F/Gas 4. Grease and line a 24cm x 24cm square baking tin. First make the shortbread by placing the butter and sugar into a large mixing bowl and beating until light and fluffy. Add in the plain flour and mix together – when it starts to thicken up, use your hands to thoroughly mix together to form a smooth ball of dough. Press the dough into the lined tin, and use your hands to flatten it out evenly, right to the edges. Prick all over with a fork and bake in the oven for 20 minutes until golden on top. To make the caramel topping, place the condensed milk, syrup, butter and sugar into a large saucepan. Cook on a very low heat, stirring constantly. Do not let it burn. This can take some time but the topping is done when it turns a caramel colour. Remove the caramel from the heat and allow to cool for a couple of minutes, before pouring all over the shortbread. Make sure it is spread evenly to cover all of the shortbread and cool in the fridge for approx. one hour. Once it has cooled complete, melt the milk chocolate. Pour the melted chocolate all over the caramel and spread evenly. Transfer to the fridge and cool for an hour-or-so until completely chilled. Cut into squares using a knife heated with boiling water. Keep in the fridge for freshness – if you can resist devouring them all at once! Have you tried these gluten free millionaire’s shortbreads? 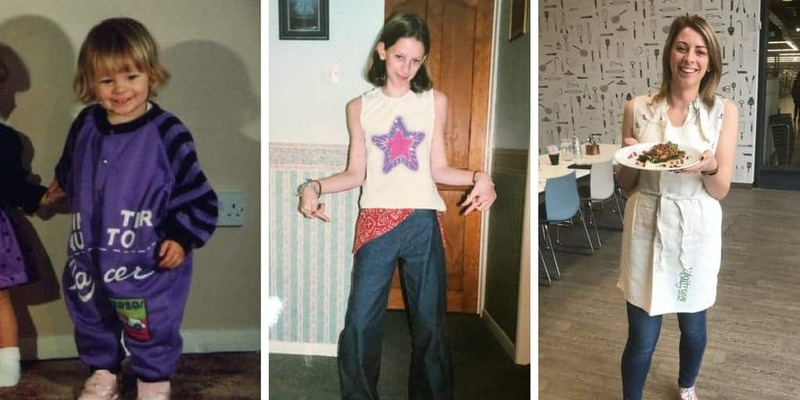 I’d love to see your photos! Post them on my Facebook Twitter and Instagram pages! Right! I SERIOUSLY need to make this, it’s unthinkable that I’m yet to make Millionaire Shortbread! These look unreal! I need to make these ASAP!